Just had a very busy weekend – school’s back, the season’s over, but still things happening. The Fair at Lessay happens each year on the second weekend of September; and for the past few years we’ve tried unsuccessfuly to get there. Established in the 12th Century by the Benedictines of the Abbey of Lessay for the Feast of the Holy Cross, but also ‘pour favoriser le developpement du commerce’ (! ), the fair has a long history, and every year has in the region of 400,000 visitors. Always busy, the fair today is a mixture of traditional elements, from the trading of animals to the reconstruction of the past, to modern farm machinery, and of course the foire forain (funfair) of modern celebrations. and then serving up the proceeds as crepes for lunch. A busy, but very rewarding day. Too much to see and do, so we’ll definitely be going back, all things being equal, next year. Sunday we spent with the “Association Attelage en Cote des Isles”, in a cariole for 4 hours between Pierreville and Le Vretot. around Le Vretot, finishing with lunch, which in the usual Norman fashion took most of the afternoon. A busy and enjoyable weekend; and more to come next weekend with the “Journee de Patrimoine”. Last weekend saw the start of some traditional summer festivities with the local commune of St Germain-le-Gaillard celebrating its Foire Saint-Urbain. Traditionally a livestock fair, it began with a concours de mouton; and then through the day an animation inter-commune; including courses en sac, tir a la corde, lancer de charentaise, course a l’oeuf – recognise these from English village fairs? There was , of course, the modern aspects to the fair, with a soiree couscous, a vide-grenier (literally an empty attic) or car boot sale, and a moto-cross. All-in-all a good time was had by all; and the weather, though not as sunny as the previous few weeks was good. Not like now as we have traditional English Bank Holiday weather!! But then there was the more modern start to summer. Last year it was the fishermen protesting at the price of fuel and blockading the ports. This year the farmers blockaded the supermarket carparks. In an on-going protest at the supermarkets’ lowering the price paid to the farmers for milk, old tires, fumeur (mucking-out from the cowsheds) and agricultural vehicles are used to block entry to supermarket carparks. To do our weekly shop last Friday we had to park in a nearby street, and walk to the supermarket. Super-U was quieter than we have ever seen it! The protest continues, and there are rumours of a shortage of milk and dairy produce. We wait for further news. Meanwhile however, the summer season slowly begins – watch this space for upcoming events and new, or refurbished summer attractions. Hoping the weather continues to improve after this Bank Holiday setback. (We have our fourth bank holiday within a month next Monday – Lundi de Pentecote (Whit Monday, the [religious] forerunner of Spring Bank Holiday). 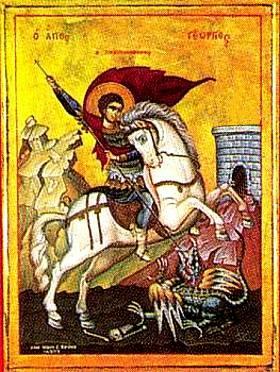 How did you celebrate St. George? Meanwhile the commune of St-Georges-de-la-Riviere (just south of Barneville-Carteret) celebrates its patronal festival this coming Sunday with a sung mass in the Church, followed by a “Vin D’Honneur”; and then in the afternoon various cycling events for all the family. For me ? the best I can do for the moment is a glass of English beer !! How will you celebrate St. George? How will you celebrate St. George’s day? Yes, that’s George, patron saint of England; whose festival falls on the 23rd April, as also does Shakespeare’s birthday. So quite a bit for English people to celebrate. 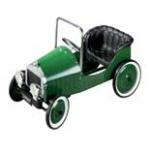 The French National Pedal Car meeting. “Championnat de France de Voiture a Pedale”, organised by La Federation Francaise des Clubs de Voitures a Pedales. 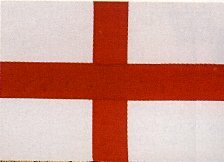 What this has to do with St. George, slayer of the dragon, saviour of the damsel in distress; and hence image of all that is good about the English – brave, fearless, and with a care for those in need – I am at a loss to imagine. There was a slight revival some years ago of the mummer’s plays in which St. George features. But what will you do to celebrate St. George? It would be good to have something both traditional and modern to celebrate our patron saint, in the same way as Patrick is celebrated for the Irish.